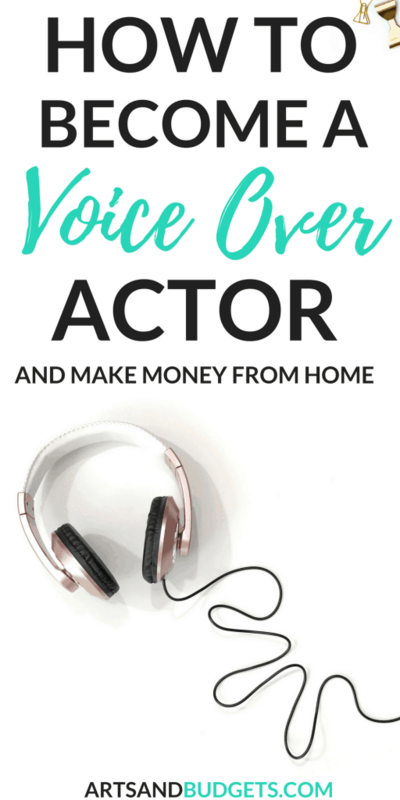 Today I have a great interview to add to the Side Hustle Series that will show you how to become a Voice-Over Actor and make money from your home. I recently interviewed Carrie Olsten, a full-time voice-over actor, and she shared some resources and tips on how to become a voice-over actor and work from anywhere in the world. Carrie got her start in voice-over work in 2014 right after she heard a podcast that featured her now coach Alyson Steel. Soon after she booked a consultation with Alyson and later booked her first voice-0ver job just 3 weeks later. After booking her first gig she kept training and after booking a few national campaigns she decided to make voice-over acting her full-time job. Currently, she is a professional voice-actor who make full -time income right from her own home. You can hear some of her work by clicking here! Check out the interview below to see how you can get started as a voice-actor and make money doing what you love. 1. Please give us a little background about yourself? How did you get started as a voice-over actor? How long have you been in the field? My background is in being a nerd 🙂 I have a business degree, and since graduating college, have worked in accounting, HR, database development, broadcasting/podcasting, and e-learning design. I actually started doing voiceover work before I realized I was doing voiceover work. My first real experience behind the microphone was when I was chosen to be the narrator for my company’s first e-learning course. Around that same time, I started a podcast about the show Downton Abbey. But it wasn’t until I heard a voice actor being interviewed about the voiceover industry that I even realized that voiceover was a career in and of itself. I had just had my first daughter, Amelie, and I dreaded having to leave her every morning to go to work. I wanted to be able to stay home with her but still, generate some income. So the timing of my hearing that interview was perfect. I bought a voiceover coaching session so I could start learning the business. I knew NOTHING but was so eager to learn everything. After my first coaching session, I was even more energized. I kept getting coaching lessons and began auditioning for voiceover work. Within a few weeks, I had booked my first job. That was in 2014, so I’ve been working as a voice actor for coming up on four years now. 2. Tell us a little more about being a voice-over actor. What do they do? What does a normal day look like? There are a lot of different genres of voiceover. From doing cartoon voices to the voice on the subway that tells you which stop is coming up next. The majority of the work I do is TV and radio commercials, e-learning, and corporate narration. Now, of course, there is a lot that must have happened in the background to even get to the point where a client is sending you work. And there are a lot of different iterations of this process. But as a voice actor working from home, this is an example that would be fairly common for you. A normal day for me looks like this: I wake up, feed the kids (I have two young daughters–my mom watches them during the day while I work), and then check my email for auditions from my agents. Auditions will come in throughout the day, so depending on the deadlines for them, I can be recording auditions at any time in the day. In between, I will work on recording jobs that I have booked. And if I have a recording session scheduled with a client–either from my home studio or an offsite studio–I will block off time for that. When there is downtime, I work on the “business” side of my business. Invoicing, marketing, replying to emails, sending thank you cards, etc. 3. What type of skill(s) does an individual need if they are interested in becoming a voice-over actor? To be a voice actor, you have to have business skills and performance skills. The business skills are not 100% unique to voiceover: You have to have good communication and customer service skills, organizational skills, pay attention to details, etc. The performance skills piece is more specialized. Voiceover is acting, so you have to have acting skills. A good voiceover coach will help you learn the basics of acting, breaking down and interpreting copy, as well as genre-specific skills. 4. How much can a person just starting out as a voice-over actor except to make per month? How much can they expect to make after one full-year? This is a lot like asking how much an on-camera actor can make per month. There are people who do community theater or low-budget films, and they don’t make very much at all if any. And there are people who are making millions upon millions for their work. And then there are plenty of people who are making a decent living, providing for their families, working regularly, but not doing anything too high profile. In voiceover, it’s similar. Depending on what kinds of jobs you book that month, you could make a couple hundred dollars or tens of thousands of dollars. It also depends on how you have your business set up. If you book most of your jobs through your own marketing efforts and do mostly e-learning or online explainer videos or something like that, your income may be more predictable, and you may be able to say, “I make about $5,000 every month.” But if your business model is mostly doing auditions from your agent(s), you may have some months where you don’t book anything, and somewhere you book a $25,000 job. And how much people can make after a full year varies as well. It depends on things like how much natural talent you have, how much training you got that year, how good your demo is, how you go about getting your work, etc. Also, it may take some people a full year just to get to the point that they’re ready to make a demo. So they won’t have made any money, or not very much, in that first year. While it’s possible to start making money within a year of getting started, new voice actors shouldn’t come into it with that expectation. Or at least not with the expectation of making a lot in the first year. 6. What are the pros and cons of being a voice-over actor? There are SO MANY pros of being a voice actor! I absolutely love it, if you can’t tell 🙂 But to name a few: you get to work from home (or at least most voice actors today get to; I work from home about 90% of the time), the work is fun, every day is different, you get to be creative, you can work in your pajamas if you want to, you get to be your own boss, and you get to be a part of some really cool projects. The flip side of the pros is that if you prefer more structure and predictability, being a voice actor might drive you nuts. If you crave in-person, human interaction, you might go crazy sitting alone in your booth for hours every day. There is a LOT of rejection, and it can be tempting to obsess over every audition you send in, or get super critical of your performance. 7. What is the audition process for a voice-over actor? If you’re a non-union voice actor and/or you don’t have an agent, you will audition primarily on online casting sites or for clients that you have marketed to. To submit an audition on an online casting site, you fill out a profile, you get matched with jobs that fit your voice, you read a piece of the copy, and upload it to the site. Here is a guide I put together on the various online casting sites. If you have an agent, your agent sends you jobs they’re casting for, you record it, and send it back to your agent. 8. What type of equipment should a voice-over invest in? You will need a condenser XLR microphone (in most cases), an interface to connect your microphone to your computer, recording software, and a recording space in your home. There are a lot of things to consider when getting your equipment, and there are a lot of options. Here is a list of items I recommend. 9. What advice would you give someone interested in this career who is just starting out? Get training, work hard, set goals, and have realistic expectations. 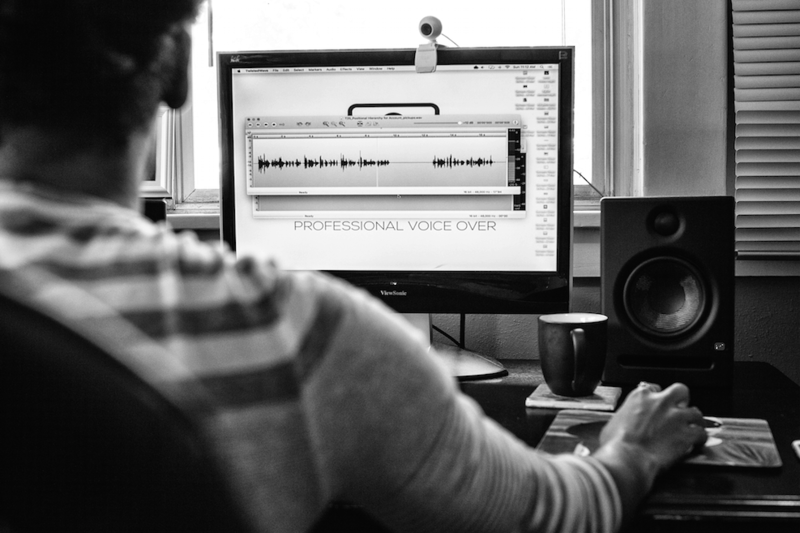 Because voiceover is “just talking,” many people get into the industry thinking that they can bee-bop their way into some sweet money without putting in much effort. So just keep in mind that the people at the top are there because they worked hard to get there. So if you are really serious about making it in the business, be prepared to put some sweat into it! 10. Any additional tips you would like to give someone interested in a becoming a voice actor? Start listening to voiceover in your daily life more. Once you start to pay attention, you’ll hear it everywhere. Instead of fast-forwarding commercials or changing the station, listen critically to the commercials you hear on the TV and radio. Practice. You can practice by reading ads into smartphone if you don’t have recording equipment yet. And don’t give up! It’s such a rewarding industry. 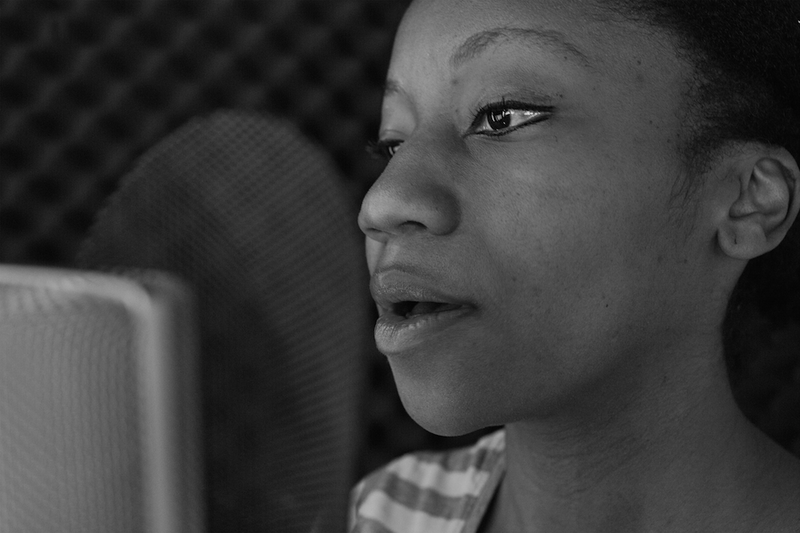 If you have a dream to be a voice actor, take steps to make it happen! 11. Do you have a course or resource(s) that can help individuals looking to jump into this industry? I have a membership site that I set up to help people get started in the industry. It teaches you what you need to know to start making money in the business, and we have monthly Q&As and Hot Seat Sessions to help members grow their businesses. It’s called the Voiceover Success Intensive. This is really interesting. I need to look into it. I quite like your series. I’m glad you enjoyed the interview, Christine! Interesting! I never thought about this. These are excellent tips for those pursuing being a voice over actor. Great to know about this work option. My friend has a great voice and he is job hunting right now, will pass this on to him. This was really neat to learn about! I’m glad you enjoyed it, Mary! I’ve been trying to get into this industry for over Twenty years! I need guidance.